This is a beautiful bundle of white real touch mini tulips. These little white tulips come in a 12 flower bouquet. Each stem has a single leaf. 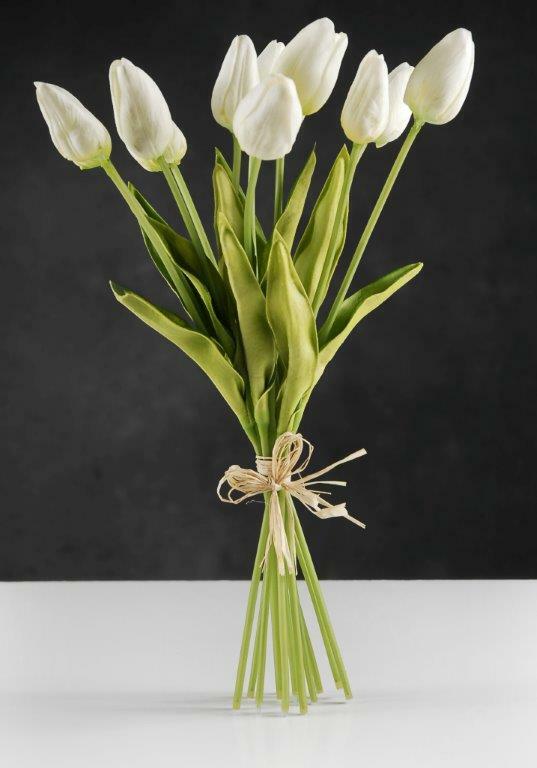 Set the tone with this beautiful white tulip bouquet. 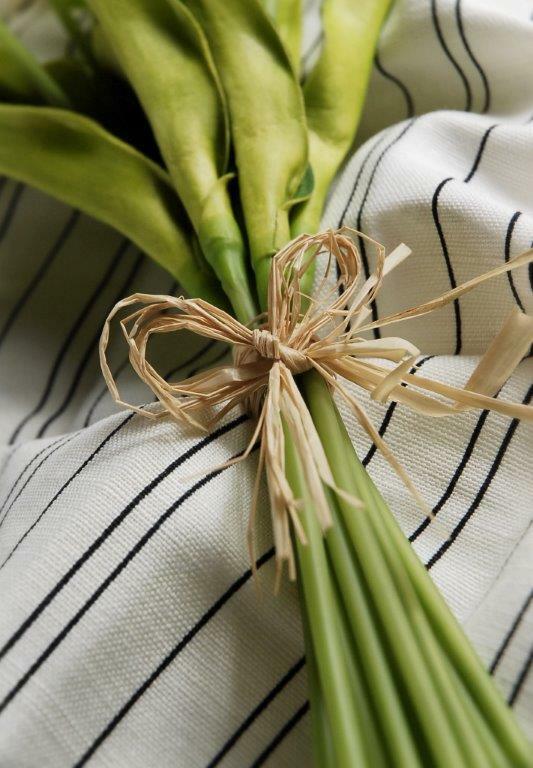 The bouquet is composed of twelve natural touch white tulips and is finished with a raffia ribbon tie. The real touch material has a more authentic look and feel than traditional artificial flowers and is a great choice to pair with real flowers in floral arrangements. The tulip bouquet is 14 in. tall with each flower head measuring 2 in. tall and 1-1/2 in. wide. The bouquet also has natural touch leaves which measure 7.5 in. long and 2 in. wide. Fade and water resistant.